CSD is celebrated on 21st April every year since 2006. Why 21st April ? Because it was on this day that Sardar Vallabh Bhai Patel, addressed the first batch of civil servants in Independent India at the Metcalf House where he referred to civil servants as the 'steel frame of India'. 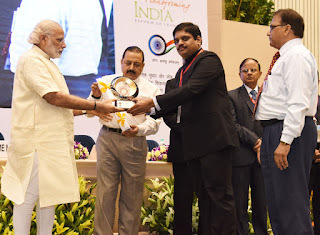 The PM's awards for excellence will be based primarily on excellence in implementation of five priority programmes --Pradhan Mantri Krishi Sinchayee Yojana (PMKSY), Pradhan Mantri Fasal Bima Yojana (PMFBY), Deen Dayal Upadhyaya Gram Jyoti Yojana (DDUGJY), e-National Agriculture Market (eNAM) and Standup India, Startup India. Health ministry of India has taken a slew of measures against Antimicrobial Resistance (AMR) like setting up a National Surveillance System. 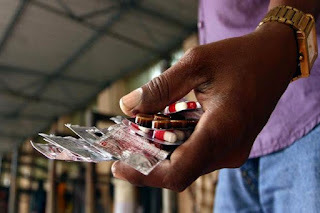 the ministry has also enacted regulations to regulate the sale of antibiotics and brought out National Guidelines for the use of antibiotics. AMR is the ability of a microorganism (like bacteria, viruses, and some parasites) to stop an anti-microbial (such as antibiotics, antivirals and antimalarials) from working against it. As a result, standard treatments become ineffective, infections persist and may spread to others. 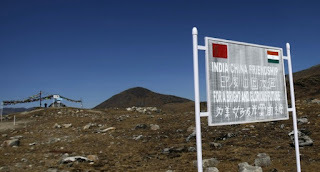 Qoidêngarbo Ri is likely to be Choten Karpo Ri, Mainquka is likely to be Mechuka in West Siang district and Bümo La is likely to be Bumla, located a short distance from Tawang. This comes on the back of her quarterfinal finish at the Singapore Open Superseries where she lost to Carolina Marin. Just two weeks earlier, she had achieved World No 2 ranking with the India Open win and then dropped to World No 5 with a first round exit in Malaysian Open. On the men’s side B Sai Praneeth achieved his career best ranking of World No 22 after jumping eight spots. Nehwal has risen one place to World No 8 despite not playing the Singapore Open to work on her fitness. Third best Indian in the ranking charts is Rituparna Das at World No 46 and Tanvi Lad is 53rd. List is topped by Tai Tzu Ying in women’s charts and Lee Chong Wei of Malaysia is at the top with Viktor Axelsen and Jan O Jorgensen forming the top three. The Olympic Council of Asia will introduce esports to the official program of the Asian Games at Hangzhou, China. 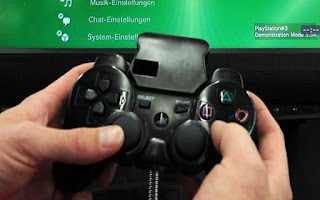 It will also be a demonstration sport at the 2018 Asian Games in Palembang, Indonesia. The decision reflects “the rapid development and popularity of this new form of sports participation among the youth. The Asian Games features a wide range of traditional Olympic sports along with others containing more regional appeal. Some of the more obscure sports include sepak takraw, which combines features from soccer and volleyball, and kabaddi, a contact team sport that evolved in and is dominated by India. The sports program has also included a variety of martial arts, contract bridge, jet-ski racing and sport climbing. 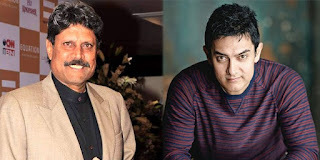 Amir Khan will be honoured with the Vishesh Puraskar for Best Film "Dangal", while Dev for his outstanding contribution to Indian Cricket. Cashless Township Innovation was conceived and implemented following the clarion call of Hon’ble Prime Minister of India to transition to a cashless society. The award recognizes the company’s contribution to innovative frameworks that will be the key for business success in the new millennium. The award was conferred upon cashless township innovation, as it enables corporations with integrated townships to succeed by adapting swiftly in the digital era. GNFC emerged as the first fertilizer company in India to transition to cashless economy successfully. Company’s township in Bharuch, Gujarat became the first 100% cashless township of India. 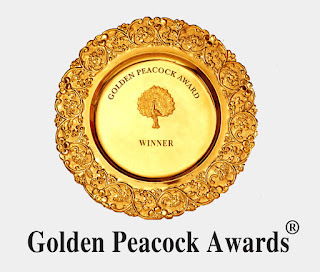 The Golden Peacock Awards, has been established by the Institute of Directors (IOD) in India in 1991. They are now widely acknowledged as a benchmark of Corporate Excellence worldwide. 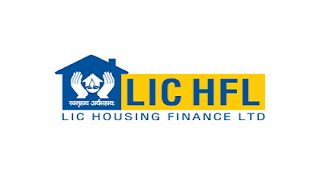 Life insurance Corp of India has appointed Vinay Shah as the new managing director and chief executive director of its mortgage loan arm and listed entity LIC Housing Finance, after government elevates Sunita Sharma to managing director of LIC earlier this week. Shah was executive director. Shah has been with LIC since 1983. Prior to this assignment, he was executive director marketing. He took over the business as ED in April 2015. He has looked after areas of new product launches in the last two years. He was zonal manager western zone. 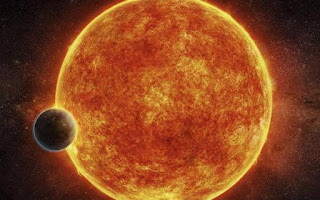 The planet is around 1.4 times the size of Earth but is more than seven times heavier, suggesting it is probably made of rock with a dense iron core. The small size of the host star and its proximity to us mean that telescopes might be able to search for specific gases in the planet’s atmosphere if it has one. LHS 1140b orbits in the habitable region or 'Goldilocks zone' around a faint red dwarf star named LHS 1140.